This is a short guide to buying modelling supplies in the Fukuoka-Kitayushu area. Many of the common modelling supplies found abroad are unavailable here in Japan, so here is a list of useful items and where to find them. Narrow spray reduces wastage when undercoating models. High pressure. It doesn't obscure details. This particular spray is not actually 100% black - it is more like 90%; a very dark grey. 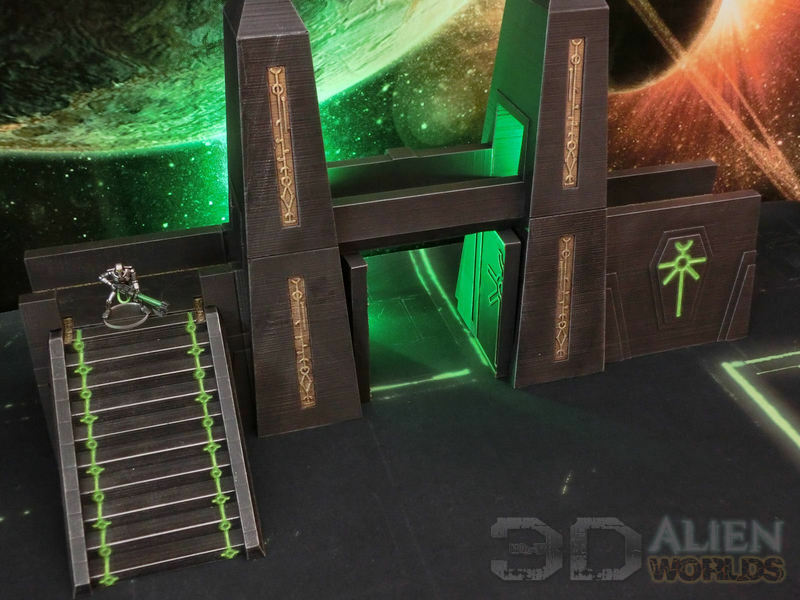 However, it is ideal for quickly and cheaply undercoating terrain, and also for undercoating models where absolute black is not required (e.g. mobs of orks!). A quick black wash over the undercoat, and you have instant shading! Suitable for polystryene too. Narrow spray reduces wastage when varnishing models. Satin finish is halfway between matt and gloss - great for models, looks a little odd on terrain (e.g. shiny stone, grass). Satin finish on this spray, so similar comments to above. Oil-based finish is very hard-wearing. Clear cap, not white as pictured. Basically, the same comments as above. Not suitable for polystyrene terrain. This is a satin finish spray. The terrain maker's spray of choice. This does give a great matt (not satin) cover, and won't melt polystyrene. Beware that the blue ribbon on the can denotes matt colours, but a red ribbon denotes gloss. Several requests for more info about those matt Creative Color sprays have come up recently, so I snapped a quick pic of the available sprays in my local Tomino Nafco. They make excellent, cheap undercoats. Sable hair brushes. Fine points, great quality. Sable hair brushes. Fine points, good quality. Easy to find cheaply in any Japanese DIY store. Simply mix with water and slop it on to terrain to create instant texturing and rocky outcrops. I use it in combination with modelling sand (see below, as it's cheap. bases or sprinkled onto glue covered terrain. A little pricey for large terrain, so try covering with instant cement first, then sprinkle sand on when dry. Can be painted, inked and washed easily. 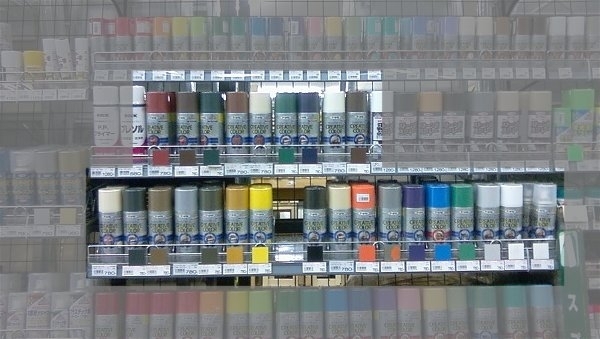 Cheap acrylic, ideal for painting onto terrain. Try drybrushing light colours (e.g. Territorial Beige) directly onto a black undercoat for instant earth colours on large areas. Ooooh. I would love a couple of those Series 7. Might have to make a trip down there on Sunday. The brushes of choice for the pro painter. Nice article, especially for a spray enthusiast like myself. << どこで買えるの？ Where can I buy models?